When it comes to detailing a car, there are probably few jobs that are as difficult to do effectively than carpet shampooing. After all, how many people have bought one of those commercially available carpet shampoos, even the kind that is supposedly for cars, and who was pleased with the final results? Probably none. Making matters worse is the fact that once a carpet is dirty, it almost always holds onto whatever happens to be clinging to it. this includes odors as well as dirt and stains. Fortunately, for Elkhart Auto Detailing, carpet shampooing is just another day at the office. The good news in this is that when you bring the job to us, you can be assured that it will be done correctly the first time. Just a little easier than carpet shampooing for your car is cleaning the seats. Fortunately, if you have the right equipment and supplies, chances are good that you might be able to do a pretty good job yourself. It does depend, to a great extent, on car shampooer rental Elkhart, Indiana, which is not always the easiest. If you do want to try it, begin on a nondescript part of your interior to test it. If you have any questions, call us. We love cars, and we love to help others when they try to do a job themselves. Also, asking a professional will give you a better idea of how to approach the problem. If you don't like the results, you can even call us to help you. 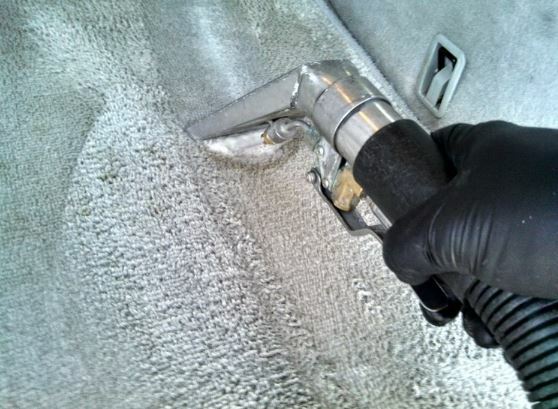 For car carpets, however, we highly recommend that you contact us for these services. After all, car carpets are considerably more difficult to do correctly than other fabrics. Regardless, you should select an auto detailer that has experience with this type of work and who has the proper equipment to handle the job. Only a professional will be able to approach such a job with the right attitude to go in and fix the job instead of just covering it up. Some odors such as tobacco odors are especially difficult to get out of your car, but with the right experience, we can do it for you right the fist time. If you want to be sure that you are entrusting your car to the right people for detailing, why not ask your friends who they would choose for the job? Chances are good, especially for someone who has been in the area for a while, that they will choose Elkhart Auto Detailing for all of the car cleaning needs. Why not trust the folks that most others entrust their car to. You will probably be glad you did. After all, you made a significant investment in your car, probably second only to your house. why not take the best care of it that you are capable of providing? Your car will thank you for it. Call us today. You'll be glad you did.